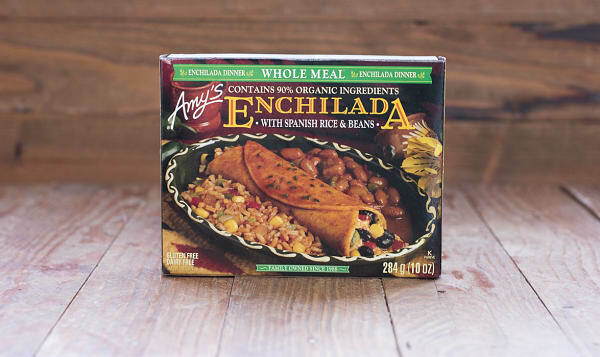 Organic corn tortilla filled with organic black beans and vegetables and covered with a traditional Mexican sauce. Spanish rice and pinto beans on the side. Non-dairy/gluten free/no cholesterol. Only 8 grams of fat per 10 oz. serving.